Considering starting a blog? 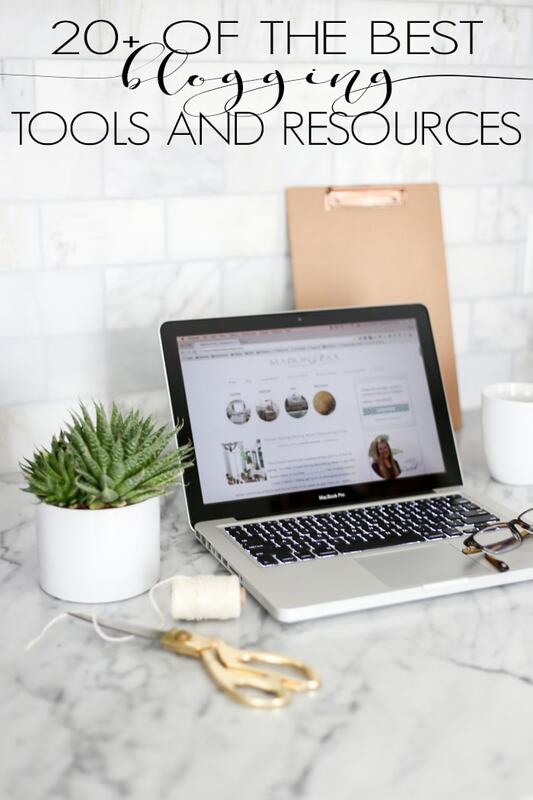 There are so many tools and resources out there… Where do you even start? 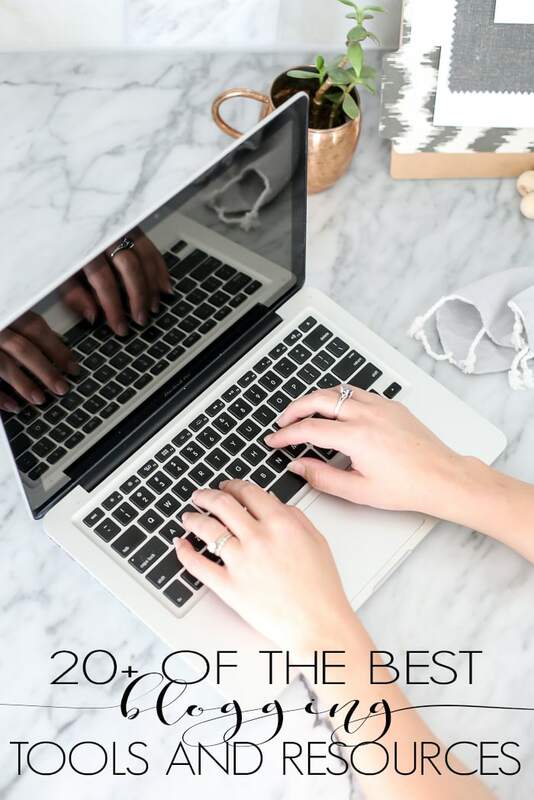 Here are all my favorite tips and resources for starting and running a blog. Can I let you in on a little secret? I used to hate the word “blog.” As a high-school English teacher, I thought it was just a place where my students would share inappropriate details about their lives and have an excuse to use poor grammar because it was online. Blogging has not only become my passion but my career. It allows me to develop my creative arts in design, photography, and writing AND stay home with my three (soon-to-be four!) young children. And you could do it, too. Is blogging for everyone? Certainly not. Is it a TON of hard work? Absolutely. But does each person have a unique story he or she could share, develop, and grow? Most definitely. I get questions about blogging every week: how to start one, how to grow one, how to earn money, how to sustain traffic, etc. So I wanted to simplify things by putting all my best suggestions and resources in one place. Because I’ll let you in on a little secret: there’s no magic formula for blogging success, but you definitely don’t have to figure it all out via trial and error. Boy, do I wish someone had told me that when I started! Most of these resources I found along the way, and while I still learned from them, I can’t imagine how useful it would have been to have them at the beginning. Disclosure: Some of the links on this page are affiliate links, which means I may receive some kind of affiliate commission if you purchase through these links. However, I only ever mention products I love and would recommend whether I was being compensated or not. 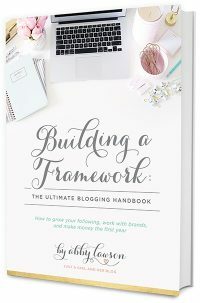 If you’ve been wanting to start a blog but felt intimidate or worried or unsure of how to step forward, this is the book for you. Building a Framework will walk you through everything step-by-step and takes the confusion and guesswork out of getting started. 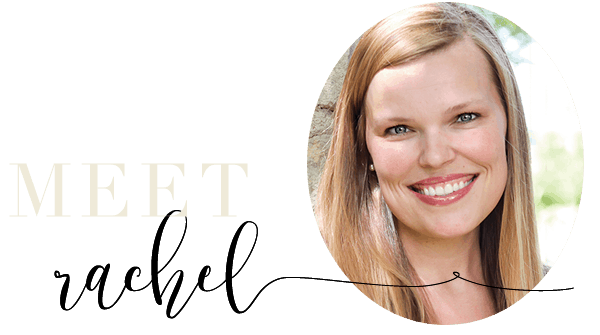 Abby’s book is both comprehensive and simple, thorough and organized, and so very helpful. 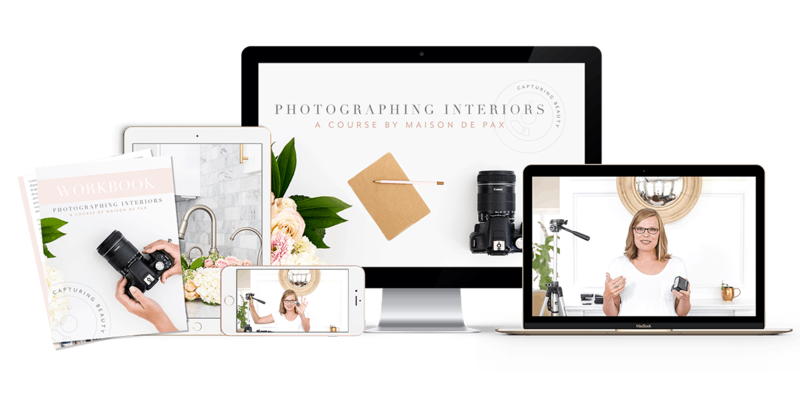 I am obviously a bit biased, but I have created a full photography course, and I think it has everything you need to truly master photographing interiors: 10 hours of instructional video content, a 100+ page workbook, and specific challenges to help you build and master your skills. The course focuses specifically on photographing interiors, but it also includes special bonus units of photographing outside scenes, holiday lights, flatlays, and more. You can read more about it and/or purchase the course here. Lisa walks you through how to brand, write, develop, and monetize your blog. 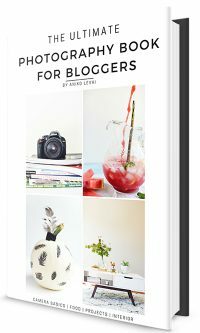 Her simple, easy-to-follow videos and useful pdfs make staring your own blog a total breeze! Let’s face it, our culture is becoming increasingly more visual… And if you’re planning to blog about anything related to home decor, food, crafts, lifestyle, etc., then your photography is KEY. Aniko walks you through some basic and some more advanced tips for creative blogging photography. Best of all, she has some Lightroom presets that help speed up photo editing time immensely. I actually did a whole review post on the book, so you can read more here if you like! 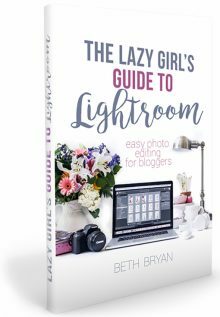 I actually learned how to use Lightroom directly from Beth at Haven Conference (more on that later) a few years ago… It has completely changed my whole editing process – for the better, I might add. If you aren’t already editing photos in Lightroom, I can’t recommend this any more highly! 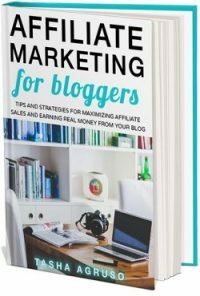 If you’ve gotten a rhythm down for your blogging but would like to start earning some income, Tasha’s book is the perfect place to start. In fact, I had been earning money through affiliate marketing for over a year before I managed to sit down and read Tasha’s book, and I still learned a ton. I’ve seen my affiliate earnings rise steadily since I began implementing her tips. She has practical, do-able suggestions for maximizing your earnings with whatever audience you already have. I do pretty much all my work on a 13″ Macbook Pro. While there are times that I wish for a bigger, hi-def screen for photo editing, I can’t beat the versatility of my laptop: working at the soccer fields, in Chick-fil-A, or on my couch. Plus, I think it’s helpful to at least preview things on a smaller screen so that you can visualize how others might view your website. The Adobe Creative Cloud is like pure gold. I had an old version of Photoshop on my computer from my teaching days, but when that computer bit the dust, I quickly signed up for the creative cloud. For ~$10/month, you can use the latest versions of Photoshop AND Lightroom. 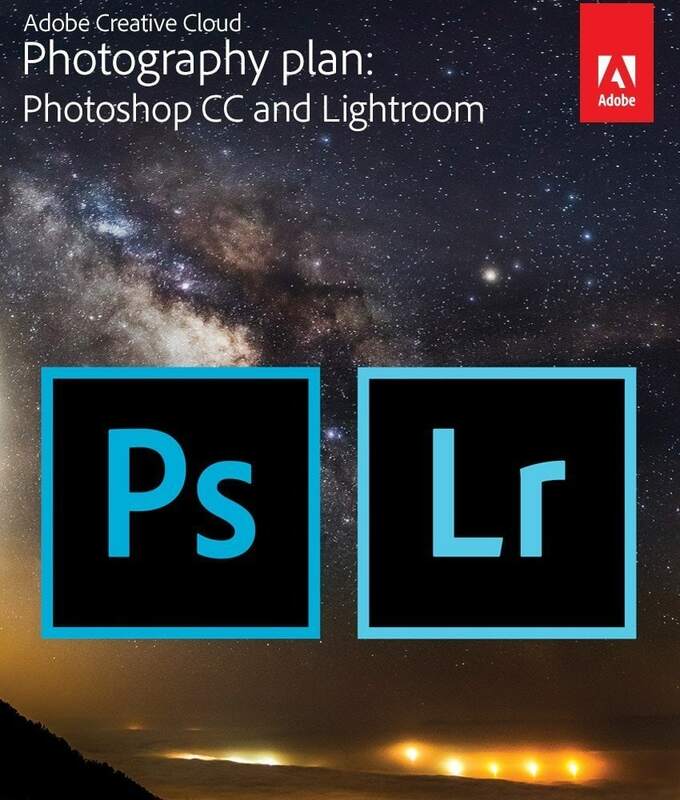 If you would prefer to purchase software one time, I definitely recommend Lightroom (where I do all my basic editing), but Photoshop (which is MUCH more expensive to purchase) is the perfect compliment for text, graphics, and more, and the Creative Cloud brings you both at a reasonable monthly price. If you want incredible service and worry-free hosting, Orange Geek is amazing. I have been with them since September of 2015, and I cannot say enough good things about them. They are quick to answer any concerns I have; they have saved me on multiple accounts when I accidentally did things that caused my blog to freak out… They have been wonderful, but it’s not cheap. Use the code MAISONDEPAX for a discount at checkout. Before Orange Geek, I used Bluehost, and while I do know some bloggers who have struggled with this large hosting company (mostly because personal support is very hard to find), I never had issues with them. They were definitely cheaper, but it also took a lot more trial and error to figure out their system. If you are at the point, though, where you are willing to spend a little time but not ready to invest a lot of money, Bluehost can be a wonderful, more affordable option. Three years ago, I started out on Blogger without knowing any better, and while there are professional bloggers still on that platform, it is much harder to work with in my opinion. I made the switch to self-hosted WordPress (.org not .com) about six months into blogging and have never looked back. There are many more options for plugins, widgets, and designs on this platform. When you create a wordpress.org site, you have literally thousands of design options. 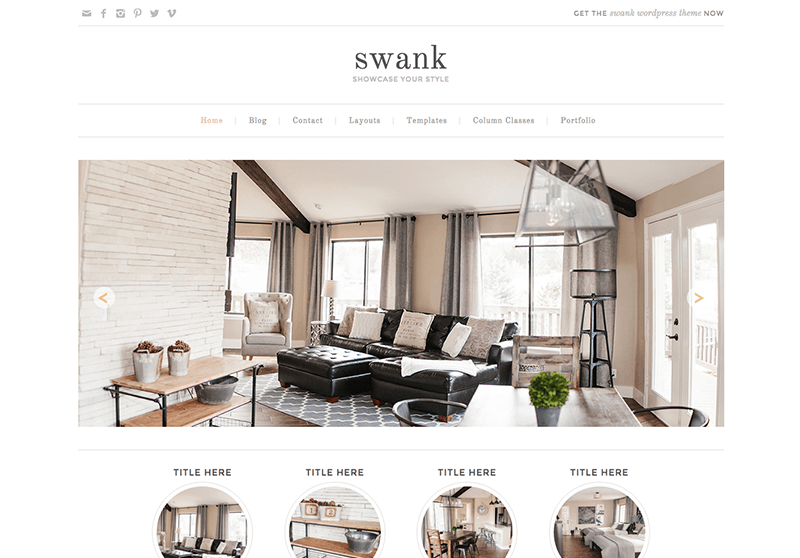 A well-designed theme is such a help to having a beautiful and well-organized site. I am currently using the theme “Captivating” Restored 316. They also have installation and customization services available. Pretty Darn Cute also has lots of affordable, lovely designs as well as some customizable options. I survive with Google Drive. 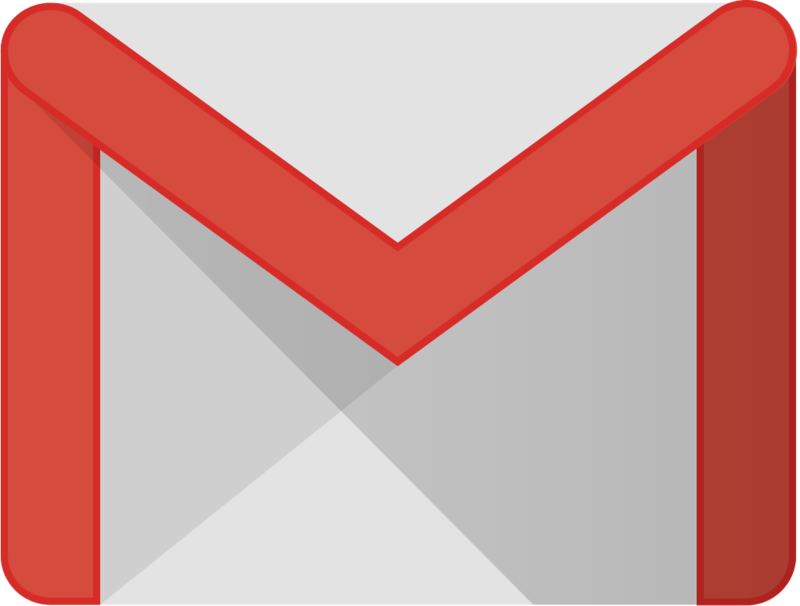 Gmail is a no brainer because so many programs function via a google account, it’s free, and it’s reliable. Once you set up a Gmail account, Google drive is available and amazing. Again, it’s free, and it has two major benefits: 1) you can access your files from anywhere. 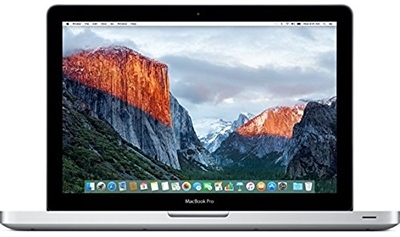 I wouldn’t put sensitive personal information on there, but for schedules, lists, calendars, sign ups, and more, it is so helpful to be able to access documents from any computer. You can also download the Google drive apps to edit documents on your phone. 2) you can share documents with others. You can provide limited access or public access to documents which is so helpful for blog collaborations, sharing with sponsors, and even working with assistants. Pinterest drives a HUGE percentage of my traffic, so tools that help me maintain my presence on Pinterest (regular posting, gaining followers, etc.) but don’t chain me to my computer all the time are essential. Tailwind is an excellent option, allowing you to set up a schedule for your pins and then simply fill up that schedule with beautiful content whenever it is convenient. There are also excellent tools for collaboration with other bloggers. BoardBooster has some different services than Tailwind, which I find equally helpful for maintaining my presence on Pinterest, so I use both. Their looping and scheduler allows me to keep my own content regularly pinned, bringing continual traffic to my site. Meet Edgar is my go-to tool for running all my other social media: namely, Facebook and Twitter. You can create posts and categorize them into libraries (for example, a “spring” library and a “holiday” library), and then you can schedule those to go out at a certain schedule. With the way FB and Twitter work, a single post a day is not enough to engage or catch your followers, but a single post a day is at most all I could manage. This allows me to set up my favorite things and let’s Meet Edgar post them for me. Win. As I said, Convertkit is a worthwhile investment if you want to make your blog your business, but if you are simply wanting to try this whole blogging thing out for a bit before you commit too much financially, Mad Mimi is a great place to start. They have stylish, easy-to-use templates, and their most basic plan is actually free. I first attended Haven less than a year after I started blogging… with my 6-week old daughter in tow. One of the best decisions I ever made. Whatever niche you decide to pursue, I bet there is a blogging conference out there for it… And I highly recommend trying to go. Finding others who share your passions, who understand what drives you creatively (and frustrates you technically 😉 ), who can teach you, encourage you, and challenge you. That will make a difference in your craft. It will not only provide training while you’re there but collaboration and growth opportunities once you leave. I cannot recommend it more. Thank you for your interest and for making it to the end! I will continue to add to this as I find new, helpful resources. In the meantime, good luck with your own blogging journey!